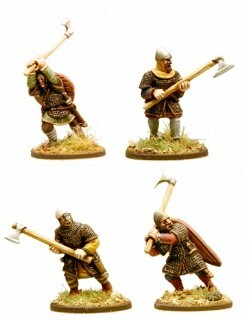 SA02 Anglo-Danish Huscarls (Axes) Hearthguard 1pt. 4 Huscarls with Dane axes. Also contains a Renedra plastic base for each figure.